The Samsung Galaxy S8 and the Samsung Galaxy Note 8 are two of the most powerful phones available today, and they bring with them some of the best features available on the Android market. 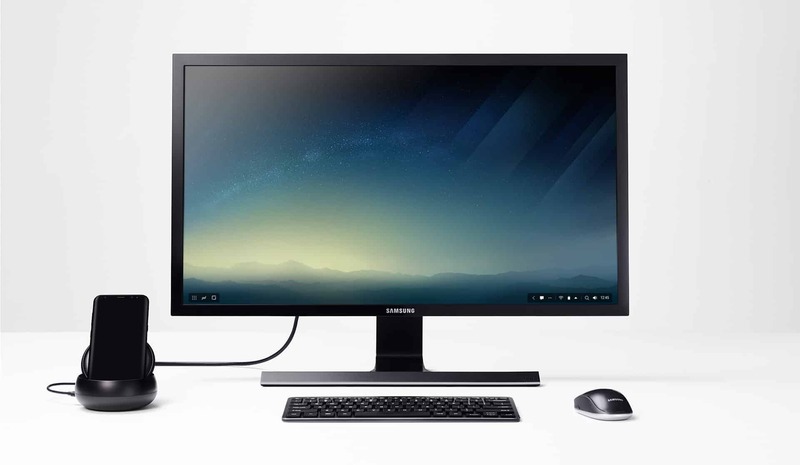 But did you know that your Samsung Galaxy S8 could also be a desktop PC? I know, I was as surprised as you. 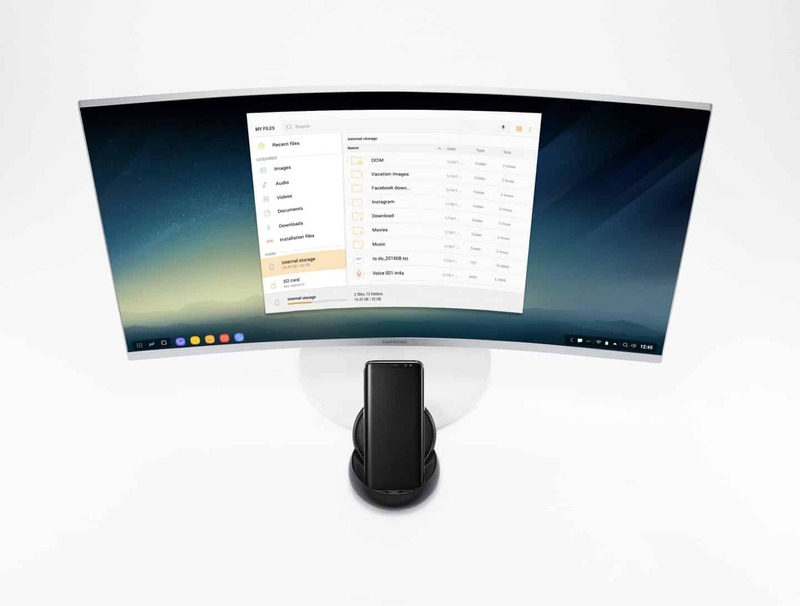 Now, using a DeX Station, you can transform your Samsung Galaxy S8 into a desktop PC. Pretty cool, eh? Of course, you will have to set it up and arrange everything correctly if you want this to be useful to you. But once you do, you could find that you have very little need for a traditional desktop, especially when you consider how powerful are versatile Android really is. Today, let’s look at what you will need and how you setup the DeX Station so you can transform your Samsung Galaxy S8 or Samsung Galaxy Note 8 into a powerful desktop PC. Before I walk you through how to connect it, let’s first talk a little about what a DeX Station is and is not. 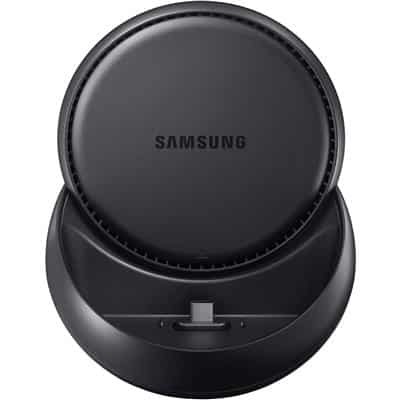 Essentially, it is a docking station for your Samsung Galaxy S8 or Note 8. It isn’t a PC on its own, but a dock that allows you to connect a keyboard, mouse and monitor to your smartphone and use it like a desktop operating system. This software is already included on your phones, so you won’t have to install anything extra to make it work, although you may want to grab a few apps that are optimized for the DeX after you install it. 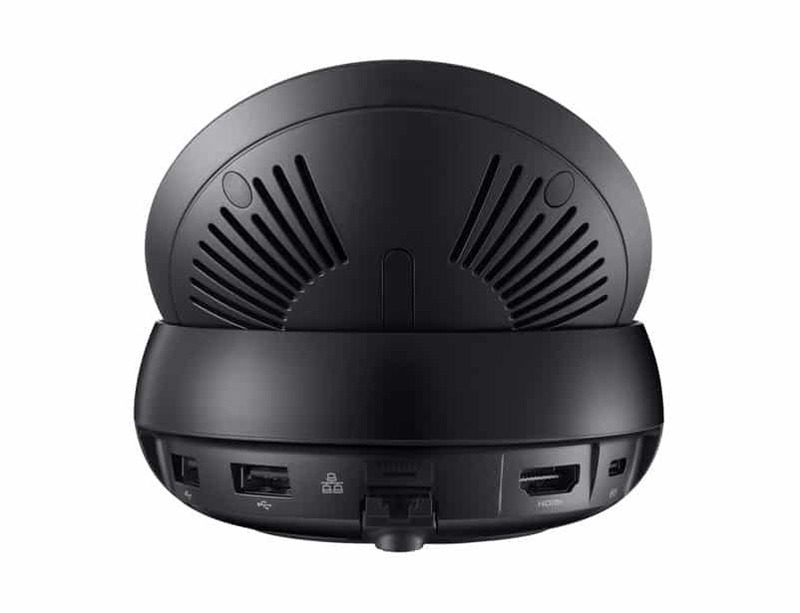 The DeX station itself comes with 2 USB 2.0 ports, an HDMI port, an ethernet port, and a USB-C port for power and charging. These ports will allow you to connect a keyboard and mouse and maybe even an external USB storage device along with an HDMI monitor and even a network cable for wired network connectivity instead of wireless once you connect the device. The lack of full fledged desktop apps means that productivity will be a bit limited. Sure, you can create documents, spreadsheets, and the like, but if you need advanced imaging software or video editing, you will be limited to the often handicapped mobile apps you find on the app stores, just as you are with your smartphone. I don’t expect this device to fully replace a laptop for everyone. But for basic users who can use their smartphone or a tablet for everything, this is a great solution. It could even mean that you no longer need a laptop. But for advanced users, this won’t be a perfect solution. For me, I use it to make my phone usage a little easier, but I still keep my laptop handy for more advanced work. How useful it will be to you will depend on your usage. If you need it for advanced functionality, you will find it lacking. But if most of your daily tech life is spent on a smartphone, this can be the perfect way to gain a little more comfort while you use your device, and it may even make it more useful to you in the process. Okay. Now that we know exactly what the DeX Station is, it’s time to get to the heart of this article. Let’s look at how you set this up with your smartphone so you can start using it as both a desktop PC and a smartphone. Before you begin to setup or even order your DeX station, make sure you have all of these ready to go. If you don’t, the DeX station won’t be very useful to you. Once you have gathered everything you need, it’s time to hook it up. This if the fun part, if you ask me. First, unbox your DeX and connect the power to it. I would place it in front of your monitor or at least to the side where it is easily reachable. Next, connect your HDMI cable to your monitor and then to the dock. If you are using a Bluetooth mouse and keyboard, I would go ahead and pair them with your smartphone before you place it in the DeX dock. How you pair it will depend on your device, but basically you open the Bluetooth section in the settings and then hit the button on your keyboard and mouse to pair it and then accept it on your smartphone. On the other hand, if you are using a wired keyboard and mouse or a USB wireless, go ahead and plug those into the dock before you connect your smartphone. Now that you have all your connections set and ready to go, it’s time to power on the DeX Station and connect your smartphone. Because the software needed to run the DeX station is already a part of your Samsung phone, there won’t be anything extra you need to do. All you have to do is drop it into the dock. The interface itself will seem very familiar, almost like a Chrome OS type of setup. 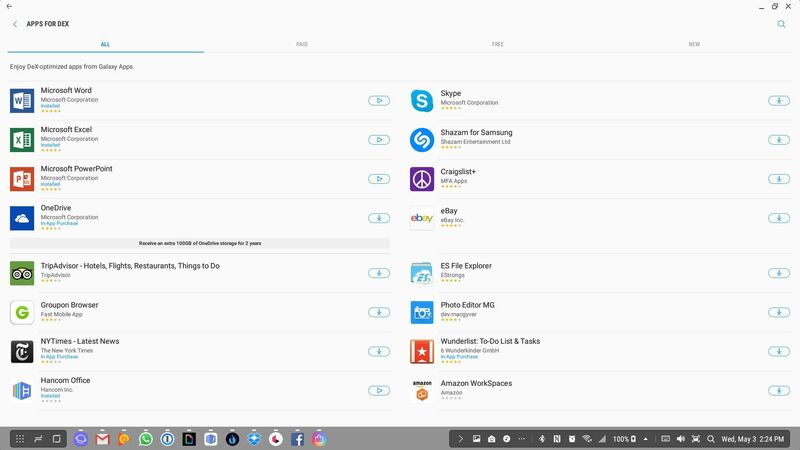 You will find your app drawer in the bottom left hand corner just like the Windows 10 Start Menu, and you will have shortcuts on your desktop. In just a few short minutes, you will be able to easily navigate the system and use it. Try exploring the apps on the Samsung store to improve your experience and test out your existing apps to see how well they will work with the system. If you are anything like me, you will find that many of your apps will have limited features but will still work, but the main apps you use on a day to day basis will work flawlessly from the get go. Your mileage may vary, however, based on the apps that you use. It should be noted that not every app available on either the Samsung or the Google Play stores will work with the DeX interface. Samsung has an entire section on its store devoted to compatible apps for the DeX interface. For apps that are fully compatible, you will be able to open them and resize the windows just as you would a normal desktop app. Apps that aren’t compatible, on the other hand, will probably only load in a phone-sized window. You will be able to use them, but your ability to resize them will be limited. In more extreme cases, you won’t be able to load the app at all while you are using DeX. For those, you will have to wait until you undock your phone to use them. Don’t worry, there are many compatible apps out there, and if you use a lot of the Samsung apps for messaging and email, all of those will work. Even third party apps such as Microsoft Office have been optimized for DeX, so you can get a true desktop experience while you use many of your productivity apps. While not necessarily a requirement, I would encourage you to pick up a pair of Bluetooth headphones or a Bluetooth speaker for this setup. When the S8 is in the DeX Station, the headphone jack will be covered up and cannot be used. While your phone will still output sound, it probably won’t be enough when using it in this setup. For better sound, I recommend a Bluetooth speaker or a good set of Bluetooth headphones with a Mic if you don’t want to disturb anyone around you or if you want to actually talk on your phone as well. By doing so, this will improve your sound when in desktop mode and enable you to access other features and use apps such as Skype without having problems hearing the sound or people hearing you. If there is one problem with this setup, it’s actually using the phone while you have it in this mode. While you can send texts and use many different apps without much trouble, when a call comes in, you will find the experience awkward at best. Now one would think that the call would come up on the desktop and you could answer it from there. That would be ideal. Unfortunately, that’s not the case. The call will come up on the phone itself and your desktop mode will freeze while you deal with the call. That means that you will need to keep the dock within arms reach so you can answer the phone. Otherwise you will be fumbling around trying to get to it just to answer or making calls. Hopefully, this feature will be improved in future updates. There you have it. With just one little dock that retails for $150, you can transform your Samsung Galaxy S8 or Note 8 into a full desktop PC. Sure, there are some limitations, and not every app will work right now, but you can’t deny how attractive this is to many users. All you have to do is drop your phone into the station, and you are ready to work on your new smartphone desktop PC. Have you given the DeX Station a try? If so, I would love to hear from you. Tell me about your experience with the DeX Station and how well it works for you in the comments below.